We all like to make a good first impression. Equally important is the first impression our house makes. 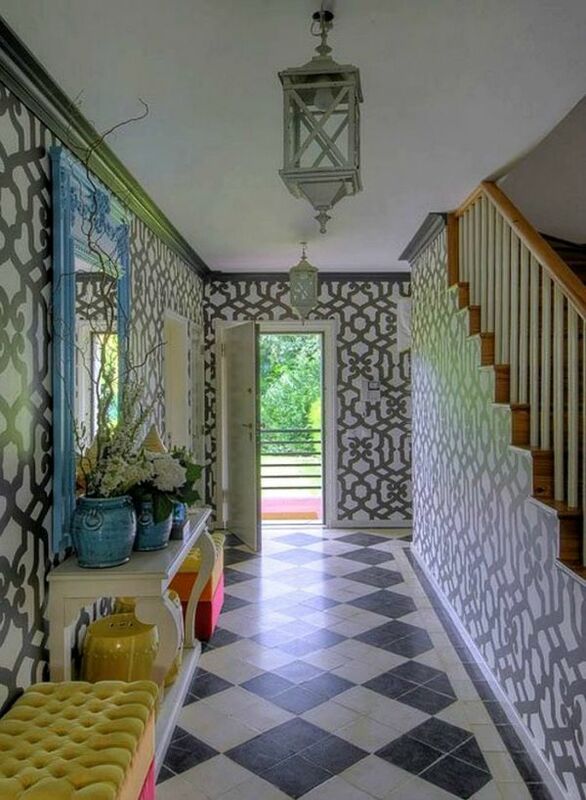 Our entryway sets the tone for the rest of the house. Let’s start with a bit of drama! 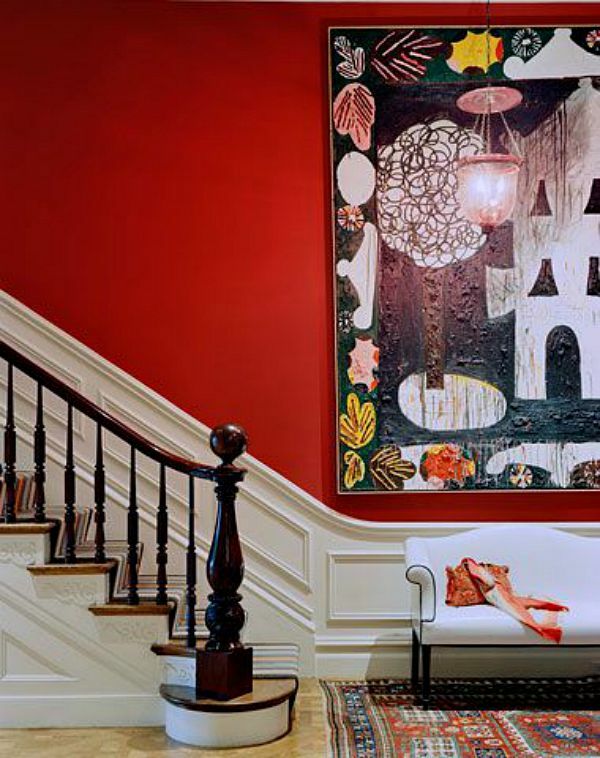 I love these red walls and the modern mix with the traditional elements in this space. Maybe you are a little more understated? 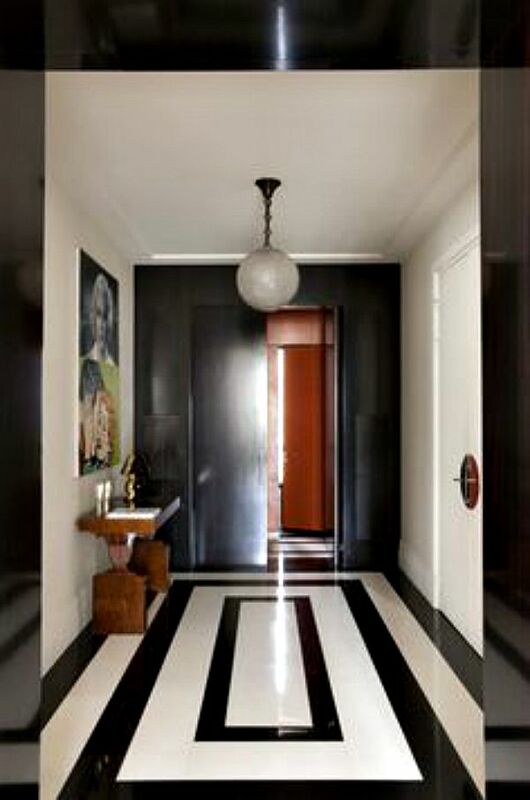 How about this amazing black and white entry? 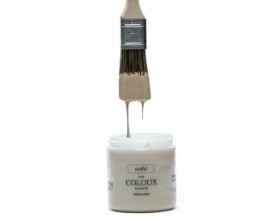 Brown lacquer walls? Yes please, they are gorgeous and I love the way the lacquer makes the light bounce around. 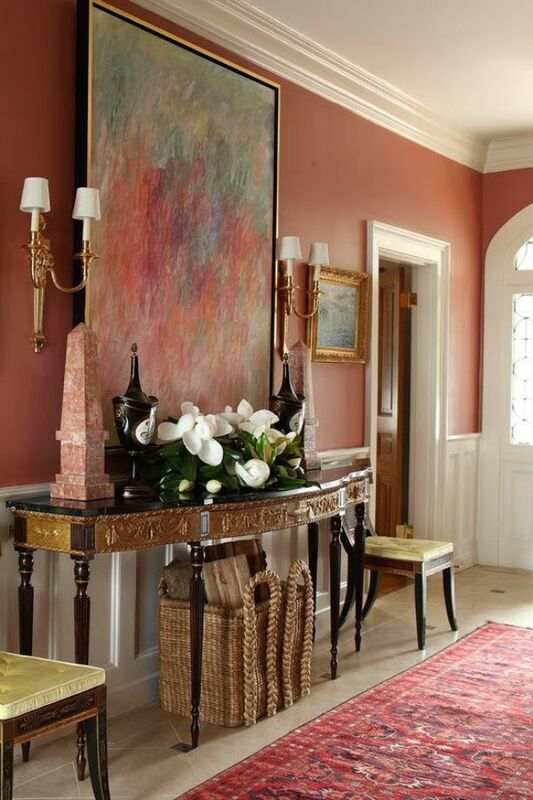 I love everything about this foyer, the wall color, the art, the floor and that rug…oh yes, that rug. I really wish small images were not on the web. It makes it hard to keep them from being blurry. Blurry or not, I had to share this minimalistic approach. This is just incredible. 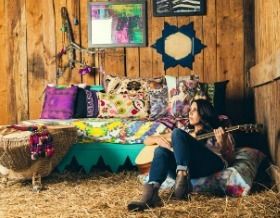 And what about pattern on pattern with strong color accents? Wow. 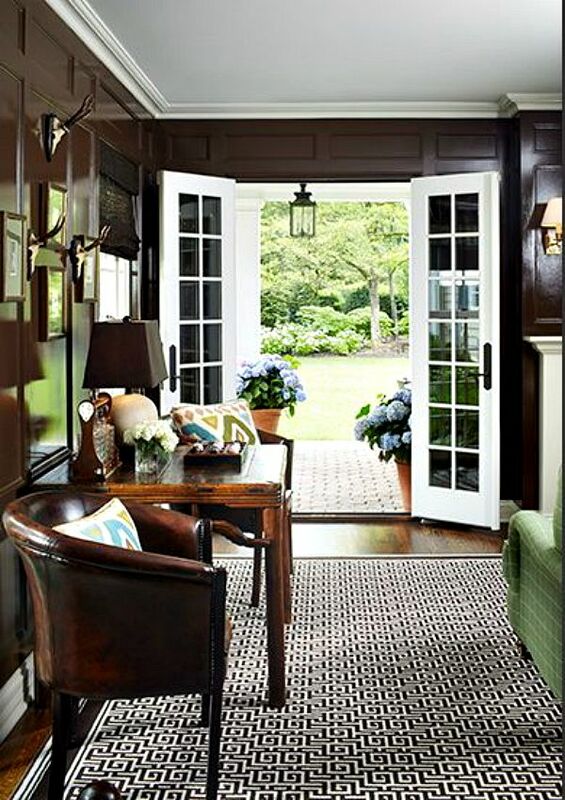 Designer Maria Burros takes this entry to a fun, yet sophisticated, place. I don’t even have the words for everything I love about this space. 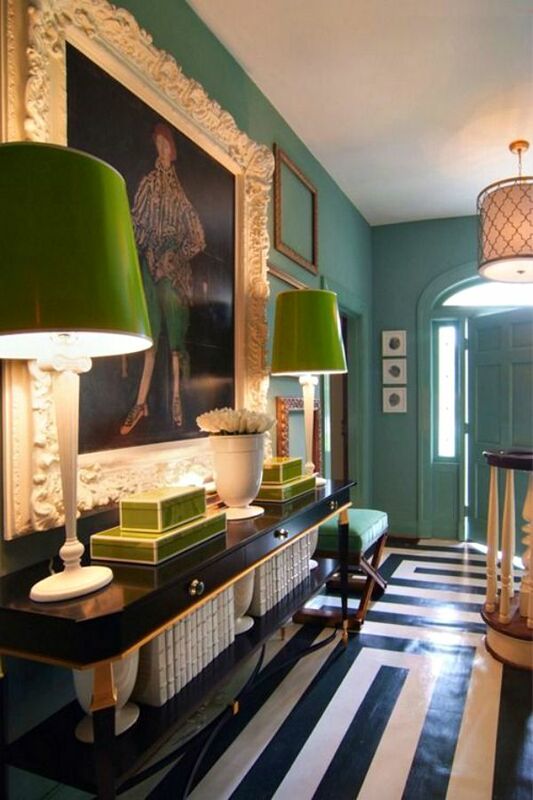 The teal accented with the lime, the patterned black and white floor, the art…oh my. Love. What do you think? 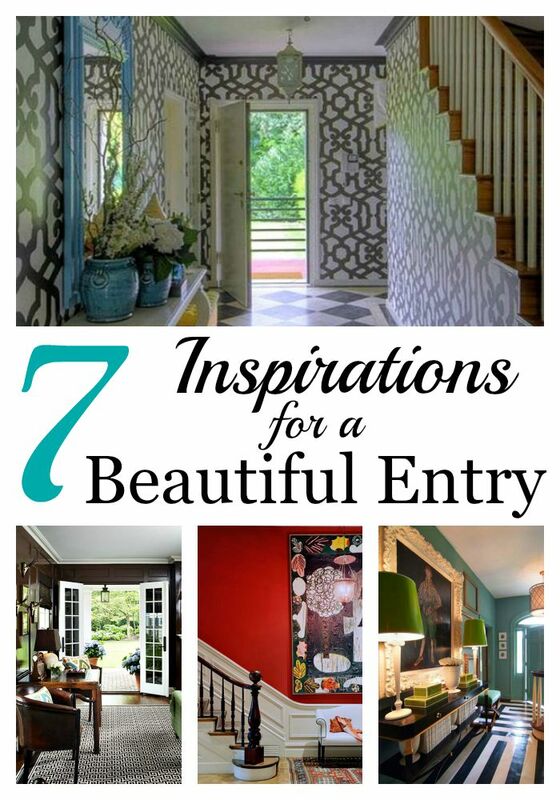 Great entry’s, right? I’m feeling inspired to do a little revamping. How about you? Such lovely bold colors! 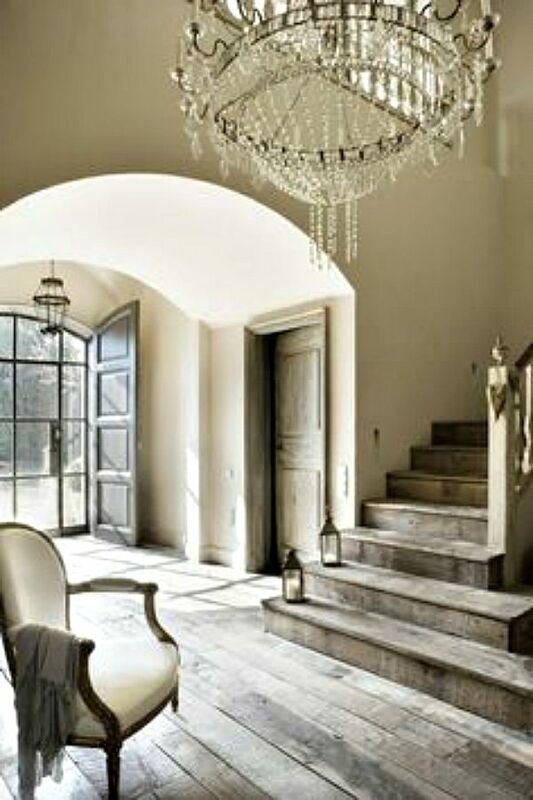 I’ve always loved a good entryway and make do with our little study which I’ve dressed up as much as possible. Me too Leilani, first impressions are everything, right? I bet your study is amazing. You are very creative and talented! I love the vintage glam look of the fifth one! Me too! I thought one was gorgeous!! Thanks for stopping by the blog!